Warmer climates offer opportunities to grow a range of fruits which either don't grow or don't grow very well in cooler regions. Along with differences associated with climate such as humidity and rainfall, warmer regions may pose different types of crop problems associated with pests and diseases. Whilst this course is primarily aimed at those growing fruits outdoors, it may also be of benefit to people looking to grow some warm climate fruits using protective structures such as greenhouses to create an artificially warm environment. This is a self-paced distance education course. 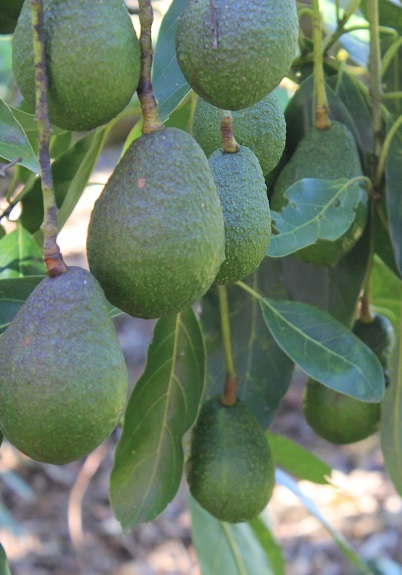 Learn how to grow different types of warm climate fruit. Determine the cultural requirements for different fruit crops in your locality. There's more to growing fruit than just planting a tree and forgetting it. Sure, sometimes you are lucky enough for that to happen, but for any serious fruit grower who wants to minimise risk, and do as well as possible at harvest; it is important to make the best decisions. If we have an existing site we can select plant varieties to grow there that suit the growing conditions available on that site. If we have selected a crop or crops that we wish to grow then we can then select a site that provides the growing conditions suited to that crop or crops. We can modify a site to produce the growing conditions we require. This can be very expensive in some cases, and not worth the time, effort and resources required, but in many cases is a viable option. Modifications could include mounding soil to provide better drainage, planting windbreaks, building dams or sinking bores to provide extra water for dry times, providing predator (e.g. rabbit) proof fencing, and digging drainage channels. We can also in many cases modify the crop to suit different growing conditions. This might involve a plant breeding program, or genetic engineering (e.g. producing tomatoes containing genes for cold resistance hence extending the range of areas where tomatoes can be grown, and extending the length of the growing season into cooler periods. If we have the financial resources, manpower and equipment required not only to grow, but also to harvest , store and perhaps market what is grown. This course is designed to be of benefit to people who are interested in learning how to grow a range of different fruits suited to warmer climates including tropical and subtropical regions. It will also be of value to those who are operating or working in an existing warm climate fruit growing business. Develop a commercial fruit growing business in a warm climate. Find ways to improve an existing warm climate fruit growing business - large or small.